Posted on June 2, 2016 by Billy S.
Order forms are a special kind of form where a quantity of a product or service is requested. Often a payment is made but it’s not required, and special items are needed to choose a quantity and set a price or score. 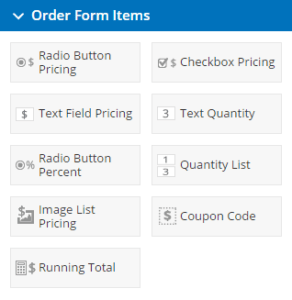 Making an order form is technically as easy as using any of the items in the Order Form Items area in the form builder. 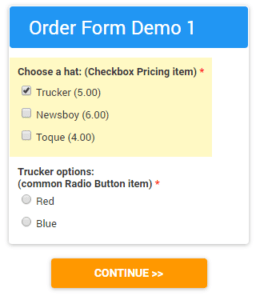 These items tell the form that you are making an order form enable some features like payment integrations and the Order Summary page. 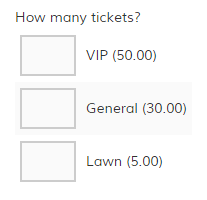 The difference between these items is the addition of a Price area where you enter the cost for each choice. You only need to use the Pricing version of the item when you want to allow the selection to record a price. If your order forms have a need for special calculations like quantity discounts, the Calculation item lets you modify the order total. See the blog post about automatic calculations. If your form needs to collect a payment from the visitor, our Payment Integrations make it easy. You do not need to collect the visitor’s credit card information on your form — the integration does that for you. Simply activate the integration with your PayPal, Authorize.net, or Stripe account and we do the rest. 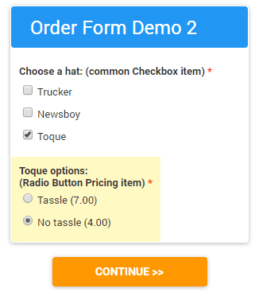 If your form does not need to collect a payment, your visitors will still see the Order Summary page as a built-in confirmation of their order. If you want to bypass the Order Summary page, you can trick the system into skipping it. Add a page break item to the bottom of your form then set a page rule on the next-to-last page to skip to the success page always. This will end your form early and bypass the Order Summary page entirely.